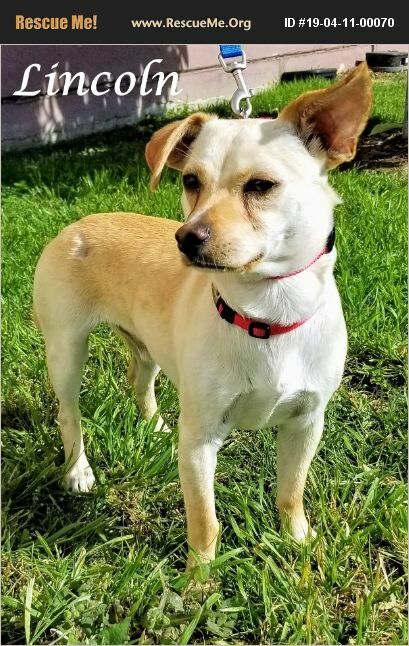 Lincoln is a 1 1/2 yr old Neutered Male Chihuahua Mix. He was found running through traffic with leash attached in the area of Lincoln and 2nd street close to fwy on ramp in CORONA. He had a burst abscess that has been repaired. He is current on vaccinations, good with kids, adults, other dogs, has not been around cats. He does take sometime to warm up but once he does is a sweet boy!!! Lincoln is looking for his Forever Home!! !